We're not talking about musical volume here. We're talking about surgical volume and hospital volume. 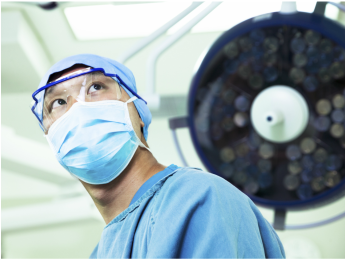 The surgical volume is the number of times per year that a surgeon does a specific operation. The hospital volume is the number of times per year that the surgery is done by any surgeon in one specific hospital. These volumes can make a big difference in outcomes. Surgery is a major weapon in the fight against cancer, and it has helped to cure millions of patients with cancer around the world. But surgery is a complicated task, and some surgeons - and hospitals - do it much better than others. Hundreds of studies have now examined the relationship between hospital volumes and mortality, or surgeon volumes and mortality. It is clear that for many types of surgeries (although not all), higher volumes lead to better outcomes. Why do high volume surgeons and hospitals do better? There is no single reason, but it is essentially the notion that ‘practice makes perfect’. High-volume hospitals have more experienced staff. They have dealt with surgical complications numerous times and are probably more adept at recognizing problems early, before they become life-threatening. High-volume hospitals may have better infrastructure and resources, and they may have a larger variety of specialists available if there is a complication. High volume surgical teams, including anesthetists and nurses, have done the surgery repeatedly. They are probably better able to anticipate and avoid problems, and they have experience in communicating important issues. And if an emergency arises during the operation, they've probably already dealt with that situation together in the past. The finding that 'practice makes perfect' doesn't just apply to cancer surgeries. Similar relationships have been found with other types of medical interventions, including non-cancer surgeries, and even in specific hospital units like intensive care units for newborns. The differences can be quite dramatic. Using data from a ground-breaking paper in the New England Journal of Medicine, let's take three examples: removal of the esophagus, removal of the pancreas, or removal of all or part of a lung. The same relationship between volumes and outcomes has been seen for many other types of surgeries, including for breast, stomach, colon, bladder and prostate cancers, to name a few. And high volumes might not just reduce the risk of death, but also the risk of complications, length of hospital stay, and the chances of tumor being left behind. Leapfrog is a U.S. non-profit group dedicated to improving the safety and quality of American hospitals, and they have been a big proponent of encouraging patients and doctors to avoid low-volume procedures. Leapfrog has proposed 'Evidence-Based Hospital Referrals', meaning that patients are referred to high-volume centers when the evidence supports it. They have also proposed minimum surgical volumes for some procedures. Based on their work and that of other groups, there has been already been some centralization of surgeries in the United States. But the numbers are still not very good. Comparing surgical volumes between England vs. the U.S. for removal of the esophagus shows a large difference. The average English center did 21 resections. The average U.S. center only did 5. Clearly more needs to be done. In 2015, 3 U.S. hospitals announced a 'Take the Volume Pledge" campaign, aimed at reducing complications by reducing low-volume surgeries. Minimum volumes per year were recommended for: esophagus cancer surgery (20 per hospital, 5 per doctor), lung cancer surgery (40 per hospital, 20 per doctor), pancreas removal (20 per hospital, 5 per doctor) and rectal surgery (15 per hospital, 6 per doctors). Some countries have been successful in centralizing risky surgeries, but others lag behind. The only way to know for your own situation is to check the data for the area where you live, and ask your doctors. Surgical outcomes depend on more than just hospital and surgeon volumes, but all things being equal, it appears better to be treated in a high-volume location by a high-volume surgeon. There might be some downsides to centralization of surgery, including a need for more patient travel. 1. For my type of cancer, are surgical volumes and hospital volumes important? 2. Are you considered a high-volume surgeon? Is this considered a high-volume hospital? 3. Do you think it would be worthwhile for me to go to a high volume center?